2. Who are Channel P101tv? 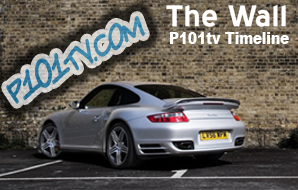 Channel P101tv is a site dedicated to all things Porsche. 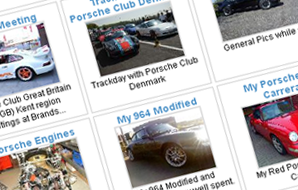 It's a community for sharing enthusiasm in Porsche by sharing video, pictures, blogs and community chat. Additionally, Channel P101tv has comprehensive resources to support the needs of enthusiasts. 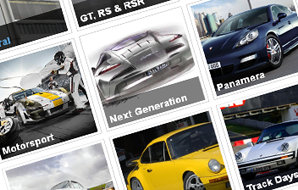 The 'Folio' section of P101tv is a dedicated set of resources of all things Porsche. The Folio provides users access to a comprehensive directory of companies and enthusiasts offering a range of Porsche related products and services. Importantly, in many cases, the companies in these listings come from referrals from fellow enthusiasts who have had a positive experience of using their services. When we refer to "we" or "our" or "Channel P101tv" or "P101tv" or "website" we are referring to Channel P101tv and its domain http://www.p101tv.com. Channel P101tv operates completely independently of any other organsiton. We are not in anyway associated with Porsche Cars GB or Porsche Club GB or Dr. Ing.h.c.F.Porsche. AG. 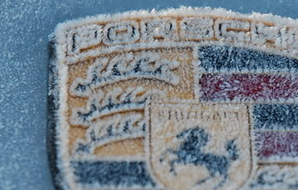 Porsche is a registered trademark of Dr. Ing.h.c.F.Porsche, AG. 3. What information will P101tv collect about me? When you participate in, access or sign up to any of P101tv's services, activities or online content, such as newsletters, competitions, message boards, or create an account using P101tv's online registration system we may receive personal information about you. This can consist of information such as your name, email address, date of birth, or areas of interest. 4. How will Channel P101tv use the information it collects about me? e. in relation to any Channel P101tv Weekly Digest. 6. Will I be contacted for marketing purposes? Channel P101tv will send out from time to time a newsletter setting out new features or developments of interest in our services. We may also inform you about services which we feel may be of interest from third parties. Users can subscribe or unsubscribe from the newsletter at any time from their Channel P101tv account control panel. Channel P101tv will send out a weekly digest email informing members of popular media on Channel P101tv. Members can subscribe or unsubscribe from the weekly digest at any time from their Channel P101tv account control panel. 7. Will Channel P101tv share my personal information with anyone else? We will keep your information confidential except where disclosure is required or permitted by law (for example to government bodies and law enforcement agencies) or as described in section 8 below. Other users of the P101tv website may view personal information which you choose to display on your public Channel P101tv profile. Members of P101tv are able to choose which items of their public profile they wich to display publically by changing the relevant setting from their account control panel. Other members of P101tv are able to contact each other via the P101tv messaging system. At all times, a members email address is not shared with other mebers of P101tv. If you post or send offensive, inappropriate or objectionable content anywhere on or to the Channel P101tv website or otherwise engage in any disruptive behaviour on any P101tv service, we may use your personal information to stop such behaviour. Where Channel P101tv reasonably believes that you are or may be in breach of any applicable laws (e.g. because content you have posted may be defamatory), P101tv may use your personal information to inform relevant third parties about the content and your behaviour. If you are aged 16 or under, please get your parent/guardian's permission before you provide any personal information to Channel P101tv. Users without this consent are not allowed to provide us with personal information. 10. How long will Channel P101tv keep my personal information? We will hold your personal information on our systems for as long as is necessary for the relevant activity. If you cancel your registered account with the Channel P101tv website, a red flag goes on the database and is marked for permanent deletion. 11. Can I find out what personal information Channel P101tv holds about me? Under the Data Protection Act you have the right to request a copy of the personal information we may hold about you and to have any inaccuracies corrected. (We charge �10 for information requests and require you to prove your identity with 2 pieces of approved identification). We will use reasonable efforts to supply, correct or delete personal information about you on our files. Channel P101tv uses on limited cookies. The only cookie used at the time of publishing this policy is a cookie to enable your device to remember your username and password to make future P101tv account logins faster and simpler. Please note that during your visits to the Channel P101tv website you may notice some cookies that are not related to Channel P101tv. When you visit a page with content embedded from, for example, YouTube, Flickr, Google Adverts or other advertisers you may be presented with cookies from these websites. Channel P101tv does not control the dissemination of these cookies. You should check the third party websites for more information about these.